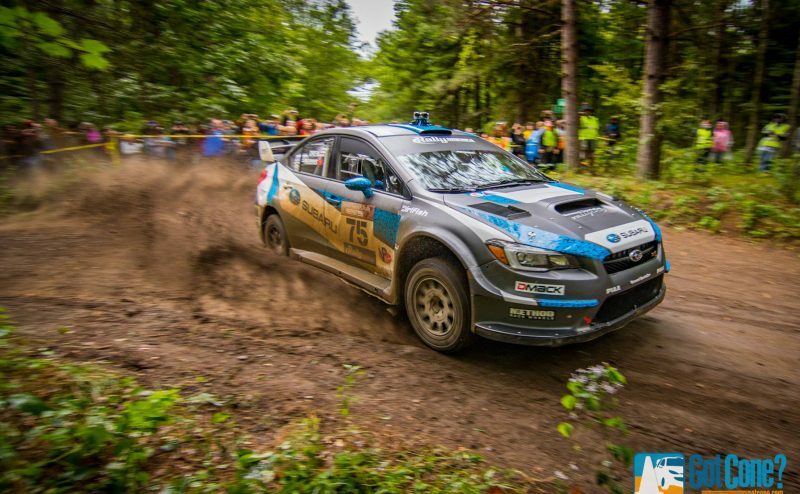 The Subaru Rally Team of David Higgins and Craig Drew needed just a second place finish at Ojibwe to wrap up their sixth, that’s right SIXTH, consecutive Rally America National Championship even though there was still one more event left on the schedule. It seemed pretty much wrapped up, as long as they could finish the rally and finish they did. 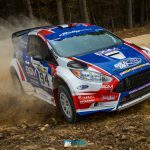 Even after suffering a puncture on the first stage of the rally they managed to build a 1 minute 40 second lead over SRTUSA teammate Travis Pastrana by the end of the sixth and final stage of the first day that went late into the night. 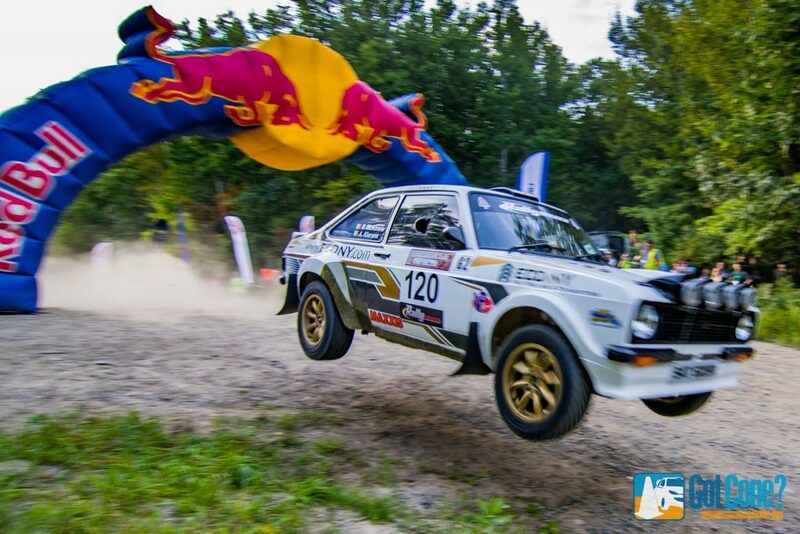 The late finish on Friday had many crews working into the early morning hours on Saturday to prepare their cars for the second day of the rally. Luckily the first stage of the second day didn’t start until just after noon, giving the drivers and crews to get in a few hours of sleep. 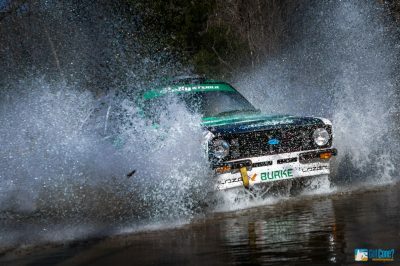 Rain and storms were on the forecast for the day, but the sun was shining as the first stage got underway. Pastrana was going to have to push hard to catch Higgins on the second day. 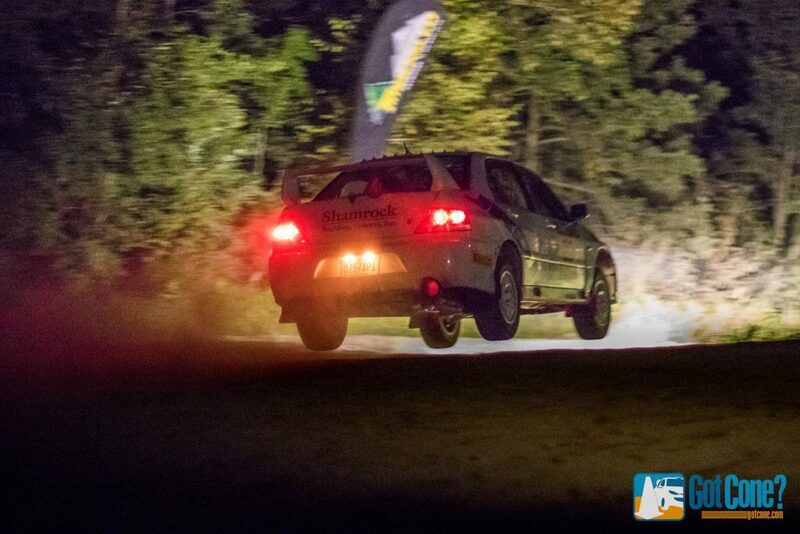 But after the first 2 stages he wasn’t making up any ground, falling behind another 5 seconds. 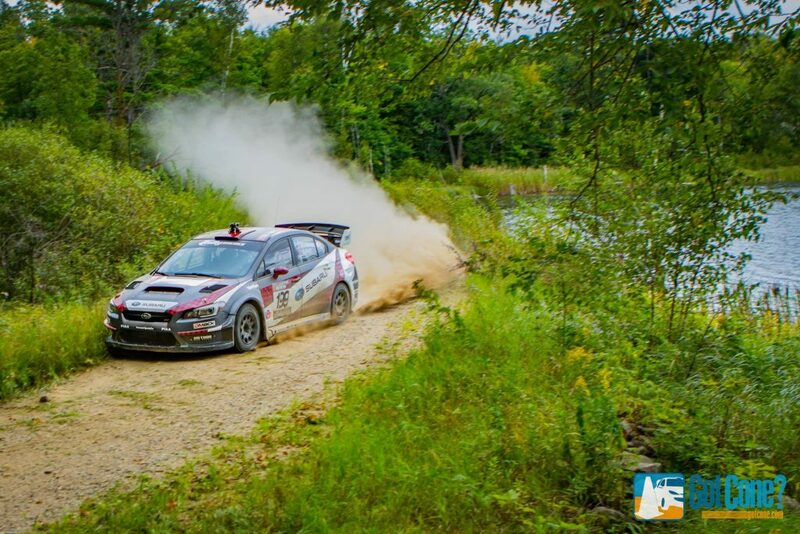 On stage 9, Pastrana pushed a bit too hard and had a run in with a tree. 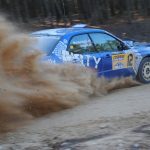 He was able to continue on and finish the stage, but at service between stages 9 and 10 it was found the impact had damaged his roll cage and he was forced to retire from the rally. 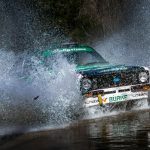 Then came the hail and rain, causing the roads to become muddy and as the zero car called over the radio to relay to the drivers before stage 10, “Roads are very slippy. Extreme caution.” With no one chasing them Higgins and Drew just had to finish to wrap up the victory and the championship. 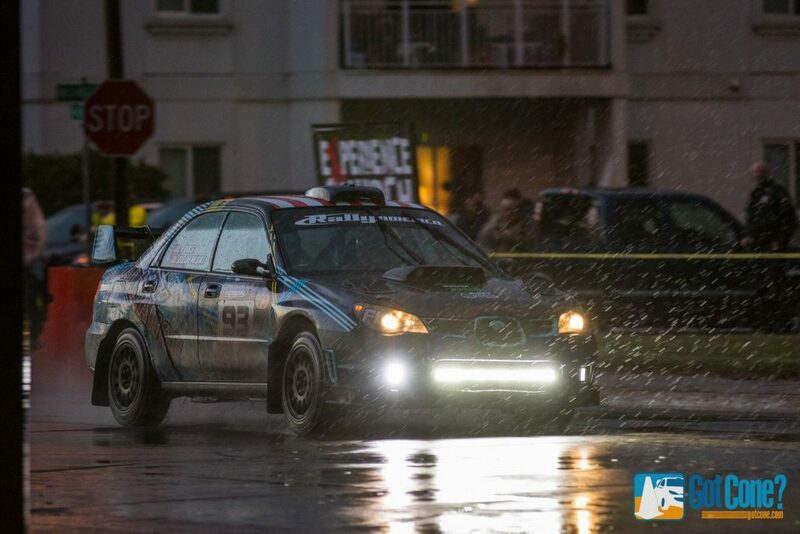 I’m sure extreme caution was definitely in their minds as they finished the stages and made their way back to Detroit Lakes for the street stages and what was to be a celebration. 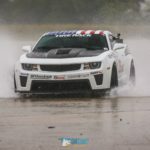 Storms rolled in as the final two stages through the streets of Detroit Lakes were about to get underway. 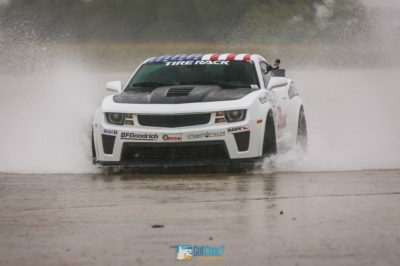 Many spectators who lined the streets ran for cover, but as the cars started tearing their way towards them, the fans returned to the sides of the streets and watch and hear the sounds of the cars that had made it through what turned out to be a very tough rally. 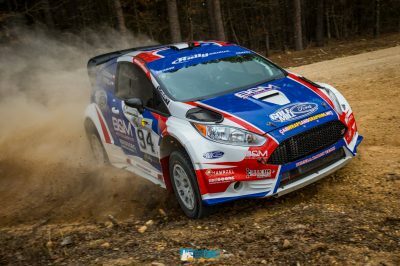 Finishing with over a 16 minute victory, Higgins, Drew and Subaru Rally Team USA celebrated yet another victory and the Rally America Championship that came with it. 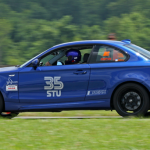 Next up is LSPR, the final event on the Rally America Championshop schedule. 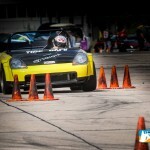 See Rally America website for more info.